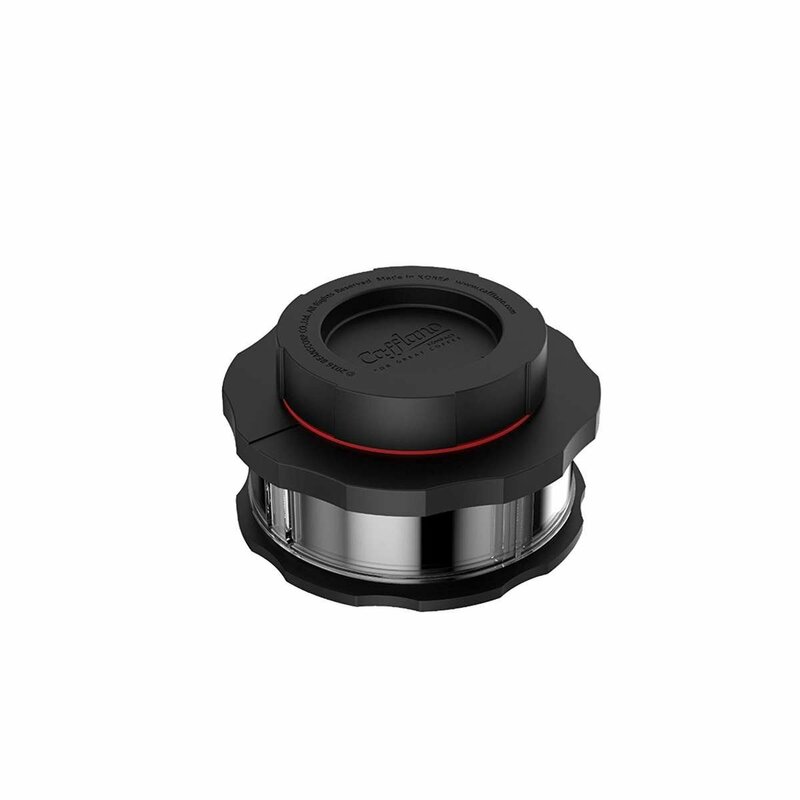 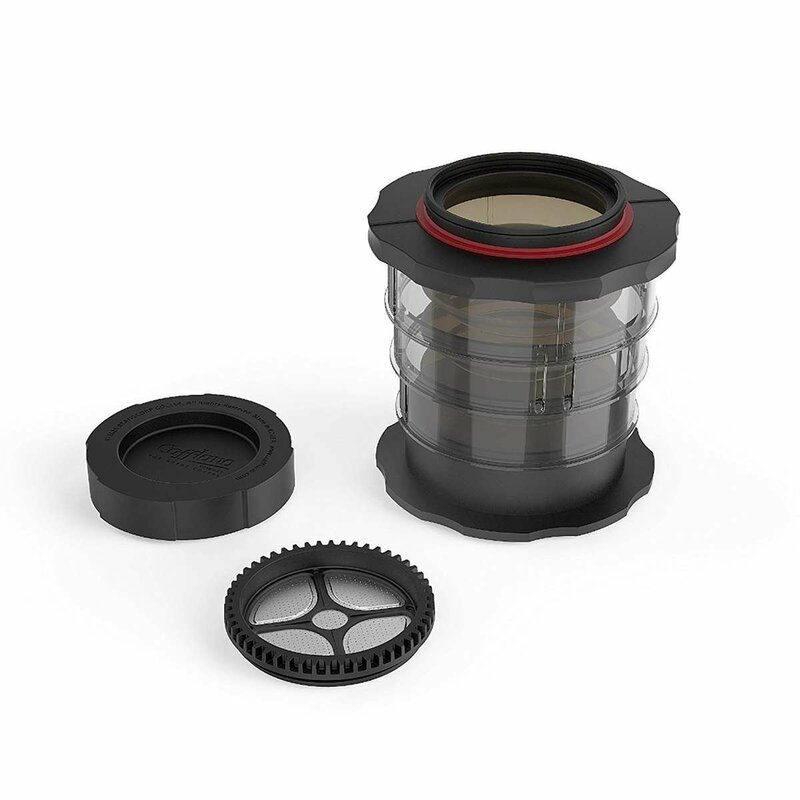 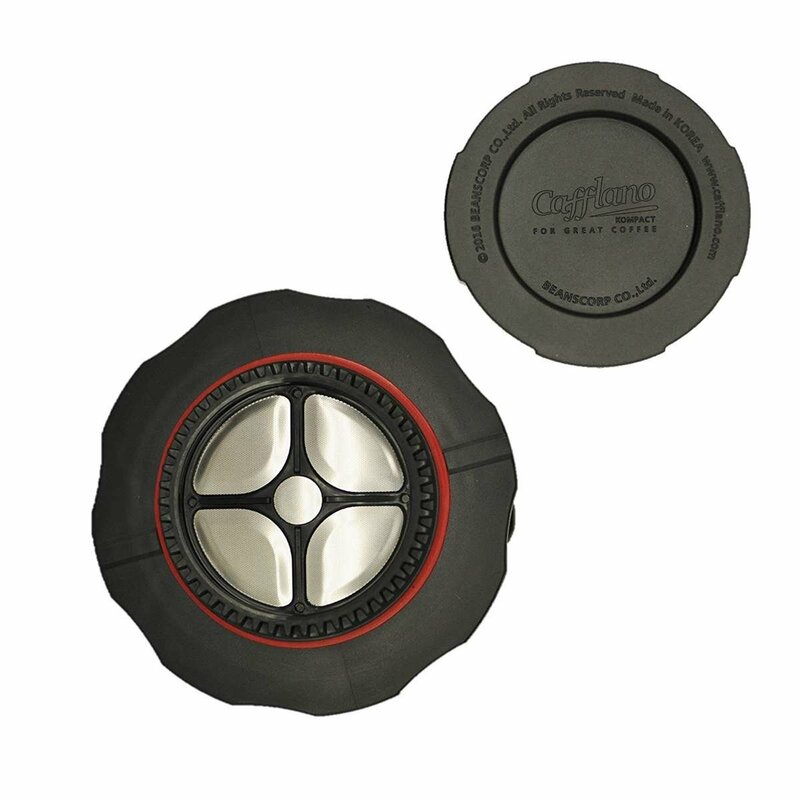 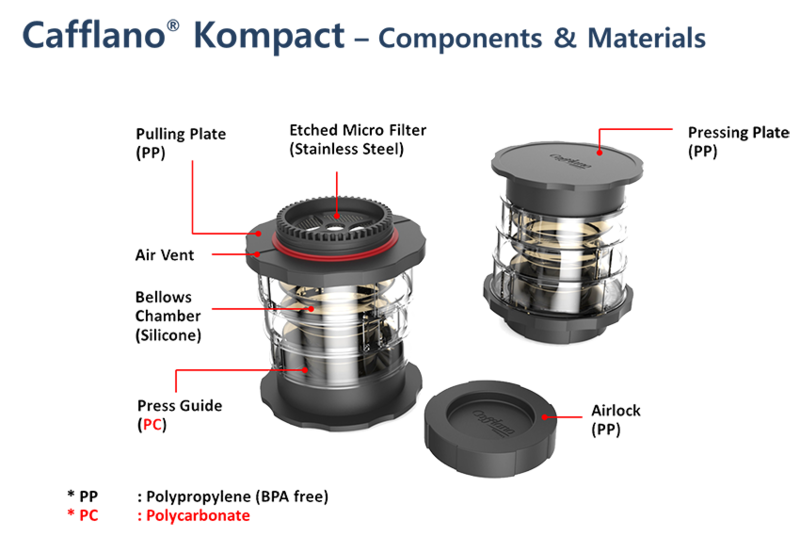 Cafflano® Kompact is an advanced press-typed (immersion) coffee brewer, which consists of silicone Bellows Chamber (easy & efficient power transmitting press chamber) with a foldable Press Guide, ultra-fine etched stainless Micro Filter, and Airlock to keep it compact and to enable cold brew on-the-go. 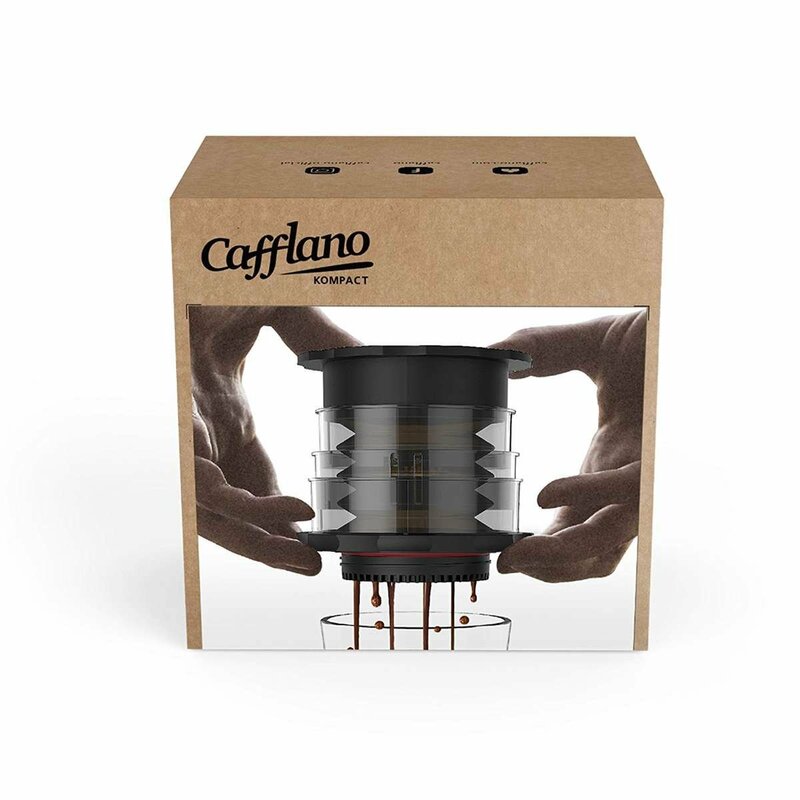 It's a simple pressing, hot & cold brewer! 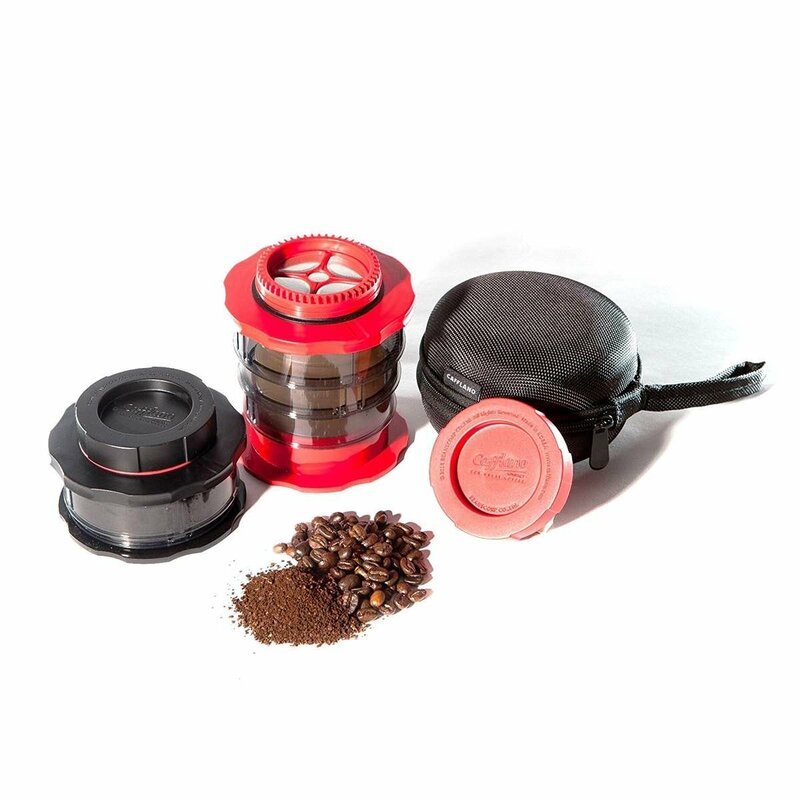 Now Enjoy Hot (or Cold), Luxurious, Gourmet Coffee on Any Mountaintop!